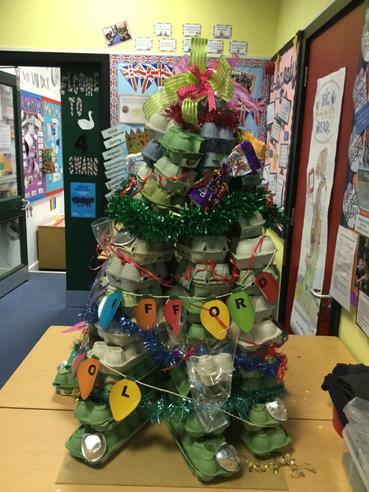 Our school was invited to take part in the recycled Christmas Tree exhibition. 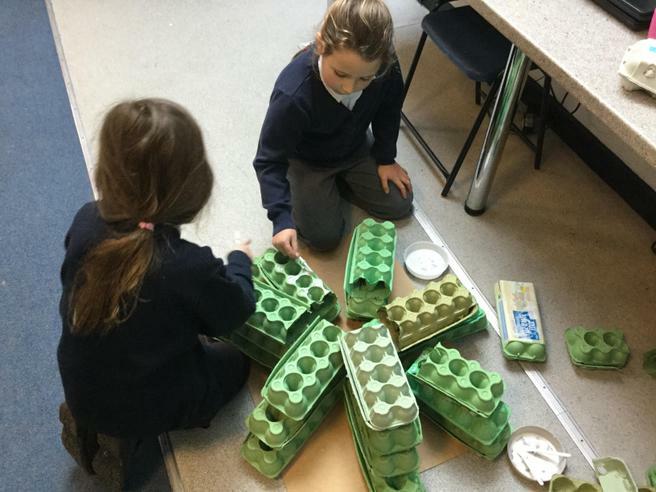 The exhibition which was organised by the local Tesco store, is due to open at the Anchor Centre on Saturday 3rd December as part of the Kingsbridge Christmas festivities. 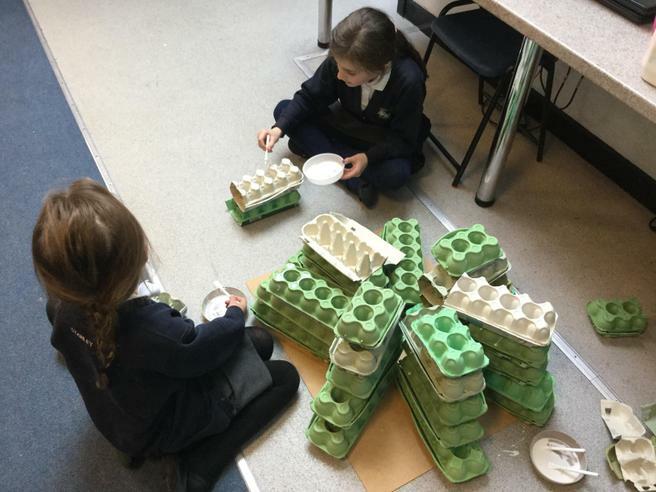 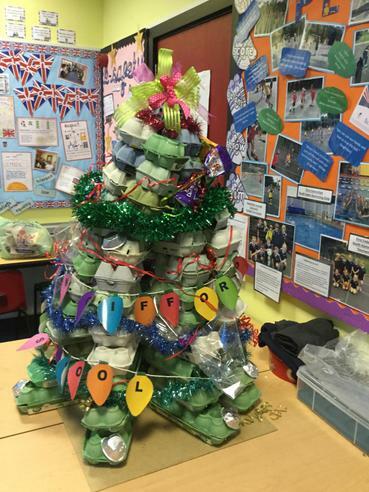 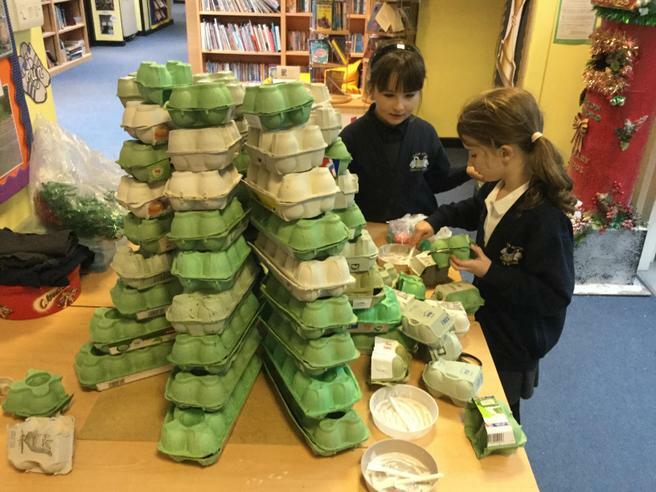 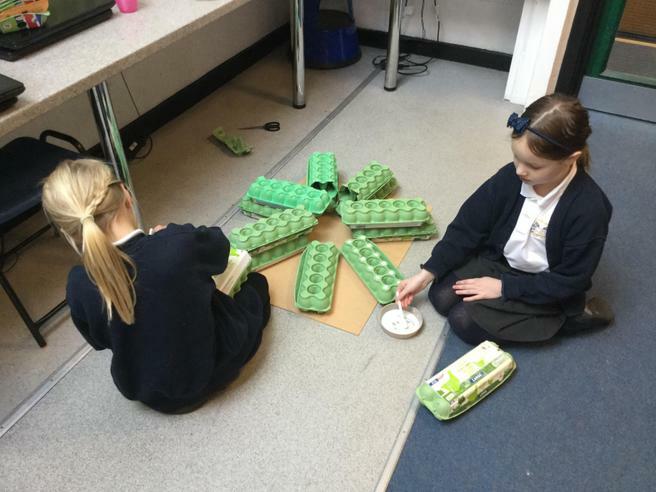 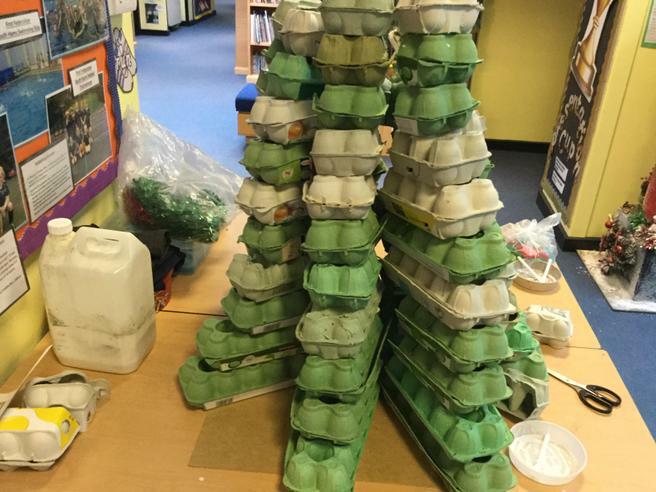 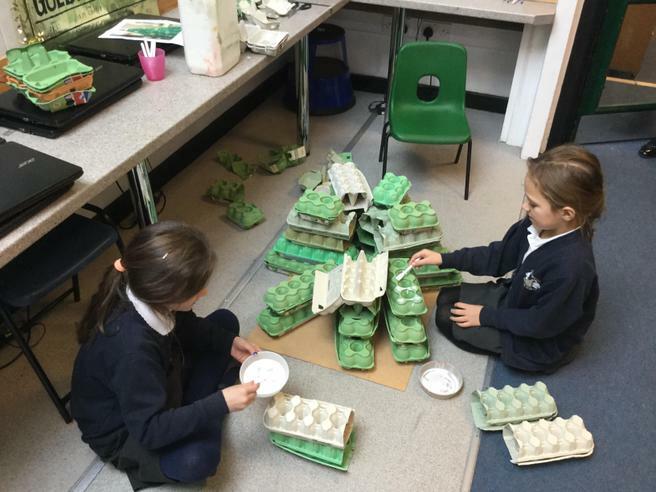 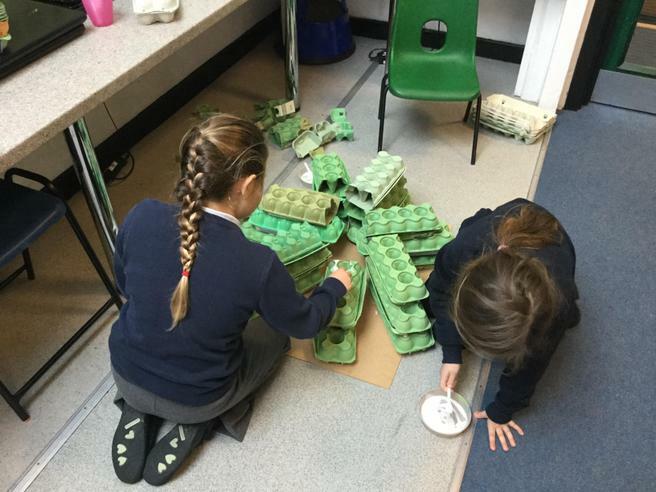 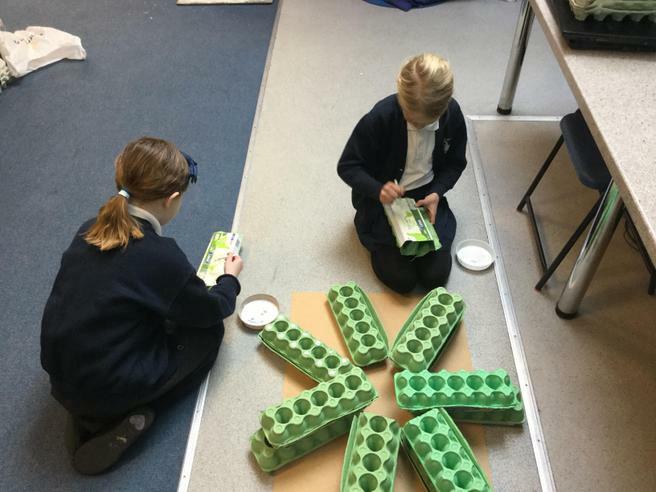 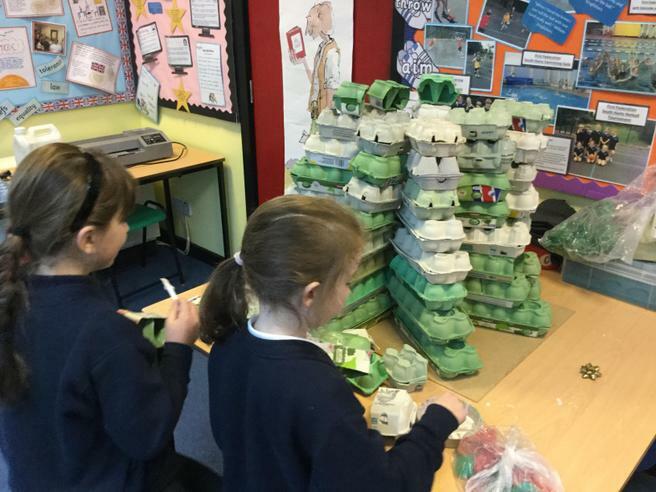 The children from Herons' class worked in small groups with Mrs Naldrett to create a wonderful Christmas Tree out of old egg boxes. 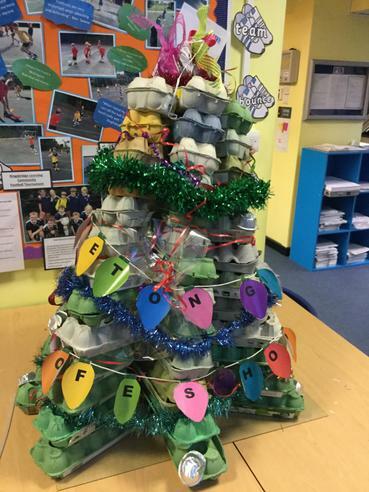 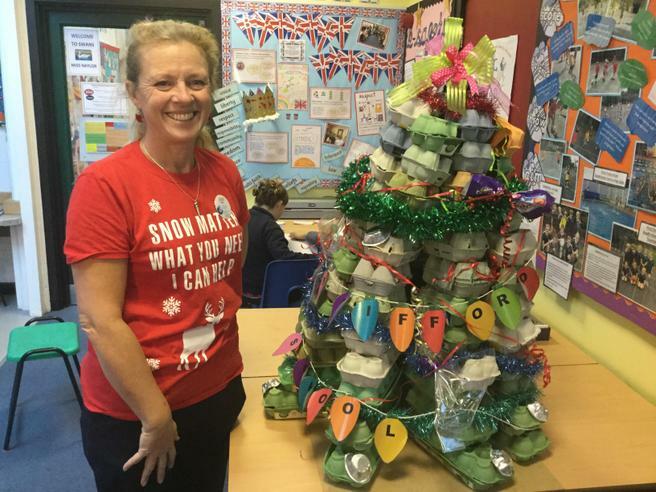 We think that you will all agree that the Aveton Gifford Prmary School tree is brilliant!